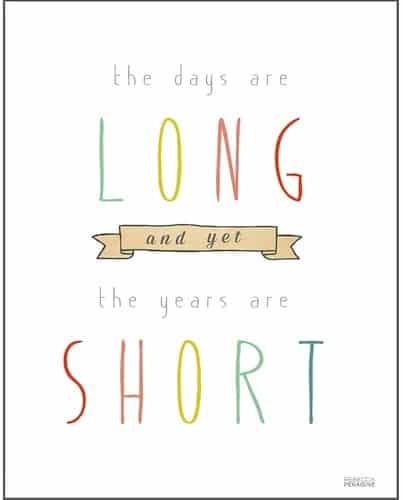 The days are long and yet the years are short. I think that quote sums up parenting. It's a great reminder to remember that you're a good mom, that there's no such thing as a perfect parent and that you already have it all. The 11×14 print with this quote is on sale at One Kings Lane for $22 right now. You can get $15 off an order of $30 or more when you sign up via this link. Or you can just look at this image and smile (that's what I'm going to do). Share this image by pinning it on Pinterest! See more inspirational parenting quotes when you follow me on Pinterest.